Beautiful 5.5 inch round St. Benedict Medal Magnet. Colored in the traditional blue and red colors. On the back is a cross containing the letters CSSML and NDSMD. Short for Crux sacra sit mihi lux! Non draco sit mihi dux! (Translation: May the Holy Cross be my light! May the dragon never be my overlord!). 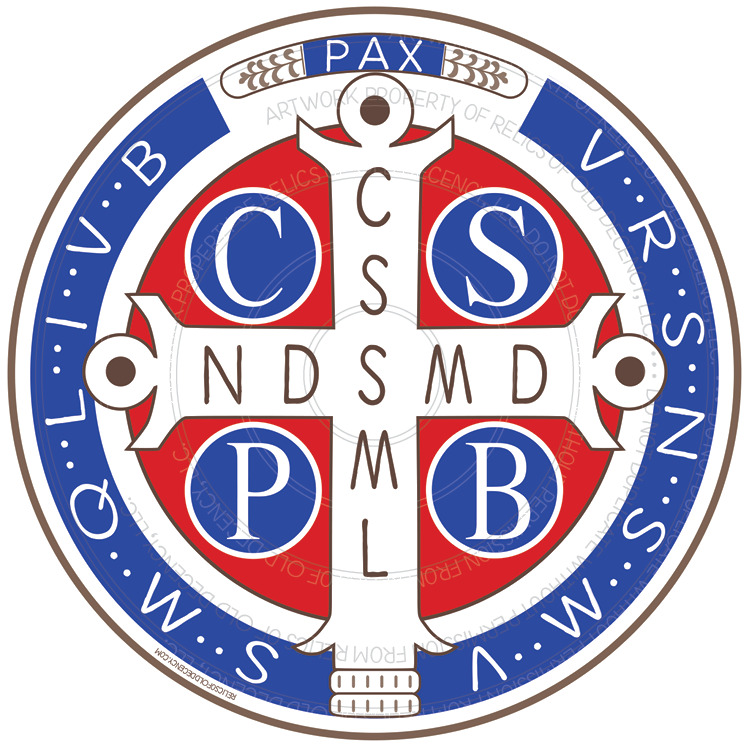 The large CSPB stand for Crux Sancti Patris Benedicti (Translation: The Cross of Holy Father Benedict). Along the edge of the medal the letters VRSNSMV and SMQLIVB (Translation: Vade retro satana! Nunguam suade mihi vana! Sunt mala quae libas. Ipse venena bibas! (Translation: Begone satan! Never tempt me with your vanities! What you offer me is evil. Drink the poison yourself!) And on top, PAX. Meaning Peace! Watermark will not appear on the actual magnet.